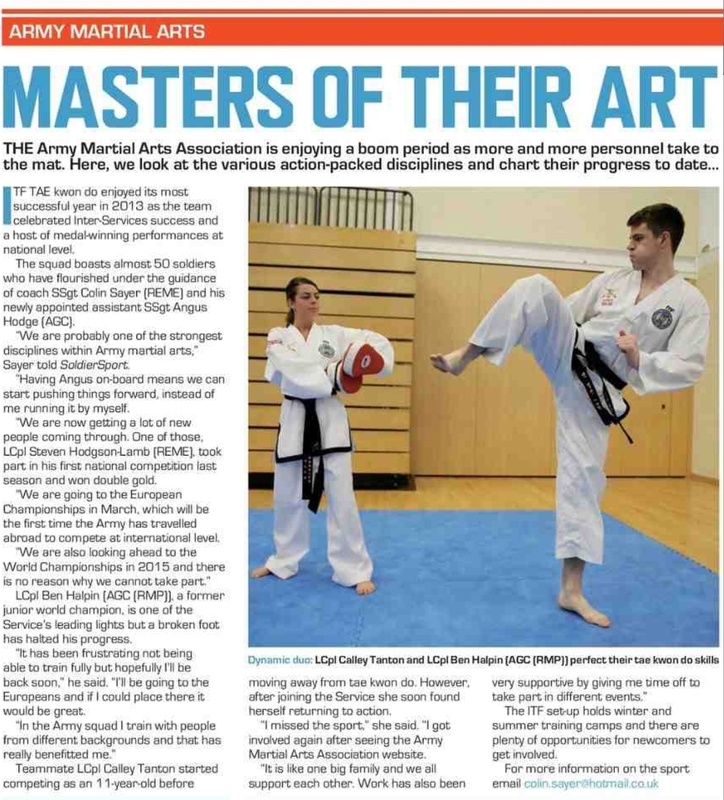 Our very own Calley Tanton (LCpl Tanton), she started TKD aged 11 in Barnstaple with North Devon Tae Kwon-Do. 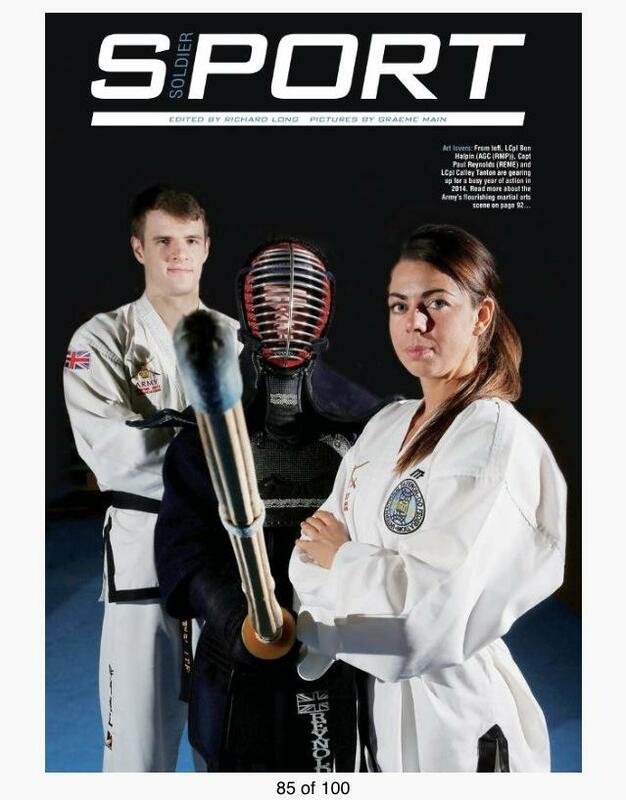 Now here she is all grown up and one of the key members of the British Army ITF Tae Kwon-Do team. Well done Calley we’re all very proud of you! I think it would be a good idea to have interclub competitions either annually or even two yearly. but also at home, it has given him "Discipline", and has taught him, "Respect for others, whether adult or peers", he has tried other sports/activities but lost interest quite fast, however myself and my son really enjoy TKD, Everyone is friendly, there is no set rate of "Standard", you work within your own capabilities. All the Instructors and senior grades are trained to a "High Standard", and strive to teach and train to such a standard, I would not hesitate to recommend this club to my friends. I like all the aerobic side of training - especially when we play fun games. It's fun and enjoyable and it's a good way to keep fit. The instructors are helpful, approachable and make it interesting for you. It would be good for the younger tkd students to have a go at a competition, it's not a scary and daunting event. I cannot speak highly enough of North Devon TKD. It gave my son self confidence and motivation and he thoroughly enjoyed his time there. The instructors are friendly and very patient. Classes also taught my son about respect for others. I would highly recommend to anyone of any age. Amazing! North Devon Tae Kwon-Do | Powered by Mantra & WordPress.